Pownal Planning Board, Wednesday, Aug. 15, 7 p.m., Mallett Hall. Freeport Recycling/Solid Waste Committee, Wednesday, Aug. 15, 6:30 p.m., Freeport Community Center. Freeport Economic Development Corp., Vision 2025 meeting, Wednesday, Aug. 15, 6-8 p.m., Hilton Garden Inn, Freeport. Charlotte Rogan, the author of “The Lifeboat,” Wednesday, Aug. 15, 7 p.m., Freeport Community Library. Not too Shaap, Thursday, Aug. 16, 6:30 p.m., Winslow Park, Freeport, part of summer concert series. $2 for Freeport residents, $3 for non-residents, free for campers and season pass holders. For more information, call 865-4198. Great Falls Balloon Festival, Aug. 17-19, Lewiston-Auburn Railroad Park. For more information and a complete schedule, visit www.greatfallsballoonfestival.org. Durham Historical Society open house, Saturday, Aug. 18, 1-3 p.m., Town Hall/Union Church on Route 136. Jen Wixon, author of “Hens and Chickens,” book signing, Saturday, Aug. 18, 1-3 p.m., Sherman’s Books and Stationery, 128 Main St., Freeport. Chatham County Line, free concert, Saturday, Aug. 18, 7:30 p.m., L.L. Bean Discovery Park, Freeport. Contemporary bluegrass. This Way, from Portland, opens. Brunswick Outdoor Arts Festival, Aug. 18, 9 a.m.-5 p.m. Town Green, Maine Street, Brunswick. More than 90 artists’ booths will feature painting, sculpture, mixed media, graphics and drawing, photography and fine crafts. Live music, theater and dance performances, performance artists, face painting, art projects for kids and families. Maine Highland Games, Saturday, Aug. 18, Topsham Fairgrounds, gates open at 8 a.m. For more information, or to order tickets, visit www.mainehighlandgames.org. Tribute to Duke Ellington, Saturday, Aug. 18, 8:30 p.m., and Sunday, Aug. 19, 2 p.m., Freeport Factory Stage, 5 Depot St., Freeport. The show features recorded music and a slide presentation celebrating the music and life of Duke Ellington, featuring the final performance of local musician Val Mollineaux. Tickets $15, $12 for students and seniors. For tickets and information, go to www.freeportfactory.com. Freeport Traffic and Parking Committee, Tuesday, Aug. 21, 7:30 p.m., Freeport Town Hall. Freeport Conservation Commission, Tuesday, Aug. 21, 7 p.m., Freeport Community Center. The Delta Knights, Thursday, Aug. 23, 6:30 p.m.,Winslow Park, Freeport, part of summer concert series. $2 for Freeport residents, $3 for non-residents, free for campers and season pass holders. Show rescheduled from July 26. For more information, call 865-4198. Thrift shop estate sale, Aug. 24 and 25, 8 a.m.-4 p.m., Freeport Community Services Thrift Shop, 53 Depot St., Freeport. Call 869-1007 for more information. Business After Hours, Freeport Chamber of Commerce, Thursday, Aug. 28, 5:30-7:30 p.m., Wolfe’s Neck Farm, Freeport. Durham Republican Committee meeting, Thursday, Aug. 28, 7 p.m., Durham Fire Station. All registered Republicans are invited to attend. For more information, or to join the committee’s email list, contact Chairwoman Elizabeth Liscomb at 865-3480 or email eliscomb56@gmail.com. 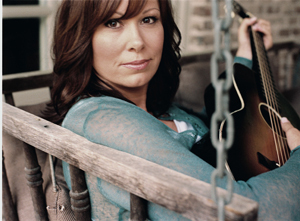 Suzy Bogguss, free concert, Saturday, Sept. 1, 7:30 p.m., L.L. Bean Discovery Park, Freeport. Contemporary spin on traditional country music. Freeport Rotary blood drive, Wednesday, Sept. 5, noon-6 p.m., Freeport Community Center. Call the American Red Cross at 1-800-RED-CROSS to schedule an appointment. “Over Deep Water: Songs from the War of 1812 and Beyond,” Sunday, Sept. 9, 4-5:30 p.m. at the public landing, Cove Road, Freeport, 4-5:30 p.m. Presented by the Freeport Historical Society. Program features Mainers Dave Peloquin and Bob Webb, who will join their tenor and baritone voices with a variety of acoustic instruments including concertina, guitar and five-string banjo to present a performance of sailors’ naval songs and sea shanties. $5 donation. For more information, www.freeporthistoricalsociety.org or call 865-3170. “A Time to Remember,” Friday, Sept. 14, 7-8 p.m., Main Street, Freeport. Bring your candles or lights to stand with the Freeport Flag Ladies along Main Street from School Street to West Street for an hour to be together to rekindle the light of the American Spirit. Taste of Brunswick food festival, Saturday, Sept. 15, 11 a.m.-4 p.m., Town Mall, Brunswick. Featuring dozens of restaurants and cafés, as well as entertainment by Maine bands. Fall in the Village Music & Arts Festival, Sept. 15 and 16, L.L.Bean Discovery Park, Freeport. Take home art from renowned New England artists and craftsmen. Van Reid, Maine author of the Moospath League series, Wednesday, Sept. 19, 7 p.m., Freeport Community Library. Elders Pancake Breakfast, first and third Saturday of the month, 8-10 a.m., Freeport Community Center, 53 Depot St. Deluxe: Pancakes, eggs, sausages, biscuits, OJ, tea and coffee, $4.50. Regular: Pancakes, sausages, OJ, tea or coffee, $3.50. Seniors deduct $0.50. Pownal Congregational Church bean supper, Saturday, Aug. 18, seatings at 5 and at 6 p.m. Tickets are $7 for adults, $3.50 for children 5-12 and children under 5 eat free. For reservations, call Lois Saunders at 688-4433. “Buttons, Rum & Rakes,” Freeport Historical Society exhibit celebrating Freeport’s mercantile past, runs through March 2, 45 Main St., Freeport, Monday through Friday 10 a.m.-5 p.m. and Saturdays 1-4 p.m. For more information, visit www.freeporthistoricalsociety.org. Weekly story time, for toddlers and pre-schoolers, Tuesdays, Freeport Community Library. Three different sessions. 9:30 a.m. and 9:45 a.m., separate 15-minute story times for toddlers. Thirty-minute story time for pre-schoolers at 10 a.m. For more information, visit www.freeportlibrary.com or call 865-3307. Freeport Community Thrift Shop, open Mondays through Fridays 9 a.m.-6 p.m., Saturdays from 9 a.m.-5 p.m. and closed on Sundays, Freeport Community Center. Nomination papers available, for Freeport’s November elections, Freeport Town Clerk’s office, Freeport Town Hall. Offices available are: District 4 Town Councilor, Town Councilor at-large, Sewer District trustee, Water District trustee, and RSU 5 Board of Directors, two seats available. Nomination papers are due back to the town clerk’s office by Sept. 12. For more information, call the town clerk at 865-4743, ext. 123. RSU 5 guidance summer hours, every Wednesday at Freeport High School, 8:30 a.m.-2:30 p.m.
Freeport Rotary, breakfast meetings every Wednesday from 7-8 a.m., Broad Arrow Tavern, Harraseeket Inn, Main Street, Freeport. Prospective new members welcome. North Pownal United Methodist Church food pantry, open every Tuesday from 10:30 a.m.-noon. All are welcome. Durham Town Office, open Mondays, Tuesdays, Thursdays and Fridays from 9 a.m.-4:30 p.m., the office is closed for lunch from noon- 1 p.m. and all day on Wednesdays, Saturdays and Sundays. For more information, call 353-2561. Pownal selectmen, meet every Monday at 7 p.m. in Mallett Hall. Check the community calendar for dates or call the town office at 688-4611. Freeport Third Friday, through December. Visit local merchants and check out arts and crafts from local artisans. Freeport residents receive 10 percent off purchases at select merchants. For more information, visit Freeportusa.com. Nature programs, Wolfe’s Neck Woods State Park, Freeport, daily at 2 p.m. through Labor Day. One-hour programs include walks, talks and activities and are free with park admission. No reservations needed, except for large groups. For more information or to arrange for group visits, call 865-4465 or visit www.maine.gov/wolfesneckwoods. Freeport Farmers’ Market, Fridays through Sept. 7, 1-5 p.m., L.L. Bean Discover Park. Aikido class, Wednesdays, 4 -6 p.m.- Freeport Community Center, 53 Depot St.
Open play, Thursdays,10-11 a.m., Freeport Community Center, 53 Depot St. Open for kids from infants to age 5, for more information, contact the Freeport Families Network at freeportfamiliesnetwork@yahoo.com. Durham Congregational Church, 73 Royalsborough Road, Durham. Sunday services each week at 10 a.m. All are welcome. Durham Friends Meeting, 532 Quaker Meeting House Road.Worship services every Sunday 10:30 a.m. Adult Sunday school at 9:30 a.m.
First Parish Church, 422 Hallowell Road, Pownal, Sunday services at 9:30 a.m. All-ages Sunday school follows at 11 a.m. For more information, call 688-4846. First Baptist Church, 185 Main St., Freeport, Sunday services at 10:45 a.m. and 6 p.m. Sunday school from nursery school to adult, Sunday at 9:30 a.m. For more information, call 865-4404. First Parish Church Congregational, UCC, 40 Main St., Freeport. Sunday services at 10 a.m. For more information, call 865-6022. North Pownal United Methodist Church, 851 Lawrence Road, Pownal. Worship service Sundays at 9 a.m.
Seventh-day Adventist Church, Pownal Road, Freeport. Saturday worship at 11 a.m. Sabbath School, Saturdays at 10 a.m. For more information, call 865-3990. South Freeport Church, UCC, South Freeport Village. Sunday worship 9:30 a.m. For more information, call 865-4012. Shiloh Chapel, Shiloh Road, Durham. Nondenominational services Sundays at 10 a.m. For more information, visit www.shilohchapelmaine.org. Country music singer Suzy Bogguss will be in Freeport for a free concert at L.L. Bean on Sept. 1.